This weekend, a new science fiction thriller starring Keanu Reeves opens on more than 2,000 movie screens nationwide. This won’t seem unusual to moviegoers old enough to remember the 1990s and the 2000s, when science fiction thrillers starring Keanu Reeves regularly showed up in wide release. 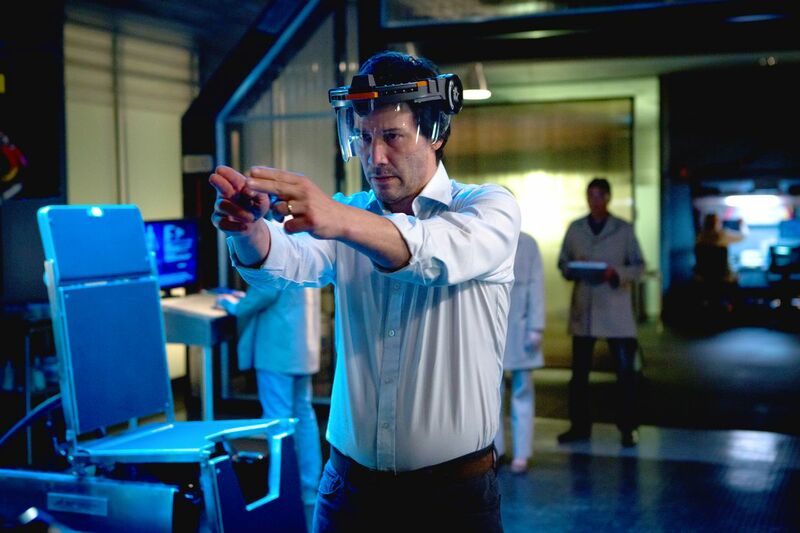 But it will seem unusual to anyone who sees Replicas, and wonders how a D-grade picture scored both Reeves and a broad theatrical distribution deal, even in the cinematic dead zone of January. These days, plenty of D-grade pictures featuring big-name actors of the ‘90s and ‘00s are produced quickly and cheaply for the streaming market. Just ask Bruce Willis, Nicolas Cage, or John Cusack. With so many avenues of distribution, it can be tricky to determine what merits a wide release, what gets a limited run in a few regional bookings, and what goes straight to the rental market. Reeves is now at the center of a mystery: last summer, he starred in Destination Wedding, a moderately charming small-scale romantic comedy with Winona Ryder. It received an extremely limited token theatrical release, simultaneous with a VOD debut, and just a few weeks after an even more obscure Reeves-starring romance called Siberia. Neither Reeves nor Ryder are the draws they once were, but Reeves has a successful film franchise with the John Wick series, Ryder has a successful TV franchise with Stranger Things, and there aren’t very many romantic comedies for adults in theaters these days. Destination Wedding wasn’t a hit in wide release — its trailers hid the fact that it’s a real two-hander, in that no one else in the movie speaks besides Reeves and Ryder — but it deserved better than an obscure late-summer burial. Replicas is getting a quiet burial, too, as a January release that wasn’t shown to the press before it arrived in theaters on Thursday night. But it’s still a 2,000-screen launch, and my Thursday-night showing was reasonably well-attended. The small crowd was presumably drawn in by Reeves’ name and a pretty neat, creepy science fiction premise: a lead researcher at a biotech firm suffers a tragedy when his wife and three children are killed in a car accident, and he impulsively decides to try cloning them. 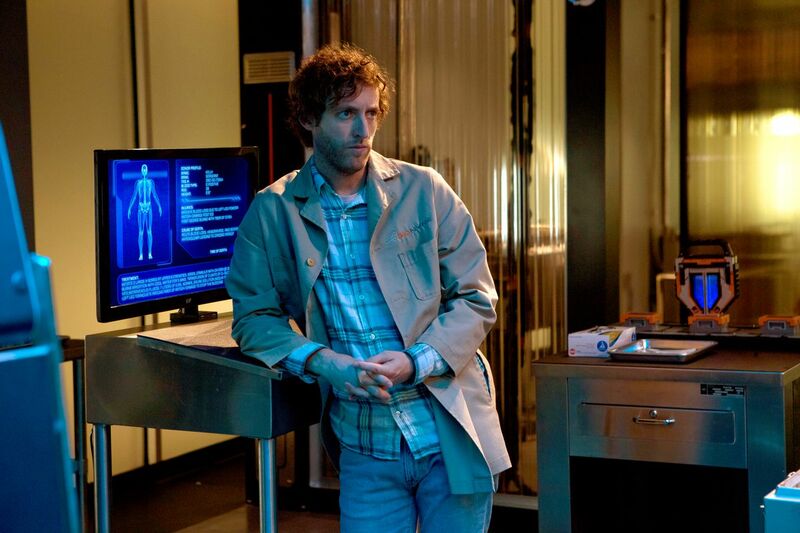 Though he’s been attempting to map “neural data” from recently deceased donor bodies onto a synthetic brain in a robotic shell, he convinces his right-hand man (Silicon Valley’s Thomas Middleditch) to help him map his family’s data into new, organically cloned bodies. The surprising, sometimes fascinating, and often frustrating thing about Replicas is how fast this all happens, and yet how methodical the process is. The family is dead and gone within 15 minutes of screen time, but the actual clones don’t wake up for around an hour. Director Jeffrey Nachmanoff (Traitor, Hollywood Palms) and writers Chad St. John and Stephen Hamel imagine many complications that would ensue from an impulsive decision to secretly clone someone’s entire deceased family — including a heartbreaking decision when the scientists realize they only have enough resources for three out of four family members. Then they imagine haphazard, often stupid ways to solve these problems. Sometimes this has interesting, disturbing parallels to the process of covering up a murder, at least how that process appears in the movies. Sometimes — and as the movie goes on, more often — it feels as if the filmmakers are making it all up as they go along, just as the Reeves character is, trying to write themselves out of a corner in a screenplay that turns out to be all corners. The result is a movie that, as many will doubtlessly point out, feels like a clone itself. It physically resembles a science fiction thriller from a movie studio (albeit a cheap one), and it has a star and character actors in the right places. Yet something is eerily off, especially with the performances and screenplay. Alice Eve has been fine in past projects, including as Carol Marcus in Star Trek Into Darkness, and the enviably perfect social-media star Naomi in Black Mirror’s “Nosedive” episode. But here, she plays Reeves’ wife with such a clumsy approximation of normal human behavior that every line she speaks sounds hastily redubbed, and her re-emergence as a clone betrays no additional unease. It was all there from the start. “You can’t keep bringing people back from the dead until you work this stuff out,” she tells her husband early on, as if chiding him for leaving dishes in the sink. The utter stupidity of Replicas sometimes makes it feel almost daring. It goes to some dark, counterintuitive places out of a seeming obliviousness to both what science fiction audiences might want to see, and how actual people might behave. Most movies, even bad ones, are improved by a theatrical viewing. But while the movie-length simulation that is Replicas is more convincing at a multiplex, preceded by trailers for real movies and accompanied by the smell of popcorn, it would probably benefit from the lack of scrutiny afforded certain streaming titles. Watched with one eye on a device or household chores, Replicas might come across more like the second-tier Twilight Zone episode it is at heart. Why, then, is this movie coming out in theaters? Replicas was acquired at the Toronto Film Festival back in 2017, with a trailer finally appearing this past fall. Its distributor is Entertainment Studios Motion Pictures, which sounds like a fake studio name made up by a particularly musty 1980s comedy. But parent company Entertainment Studios is actually about 25 years old, founded by comedian Byron Allen as a distributor of syndicated TV shows. It only recently made its way into theatrical distribution. The company’s movie strategy seems similar to that of the upstart studio STX: it acquires the kind of low-to-mid-budget genre exercises that their bigger counterparts have de-emphasized in favor of massive tentpoles. So far, some of its releases resemble mockbusters, direct-to-streaming titles designed to cash in on popular theatrical releases from bigger studios. Entertainment Studios’ shark thriller 47 Meters Down came out a year after The Shallows, on virtually the same release date, and was almost presented as a de facto sequel. (A trailer for a 47 Meters sequel accompanies some prints of Replicas.) The company’s Friend Request came out in between Unfriended movies. Even in this realm, Replicas has more of a throwback feel, like a mockbuster recently exhumed from a 20-year time capsule. Also in the movie’s corner: producer Lorenzo Di Bonaventura, who can boast a long working relationship with Reeves. As a Warner Bros. executive, he helped get The Matrix off the ground, and later produced Constantine. If he was nostalgic for a time when Reeves vehicles commanded lower budgets and worse scripts, Replicas should give him a fix. Poor audience members may only feel disoriented, as the line between A-movie, B-movie, and D-list embarrassment continues to futuristically blur.